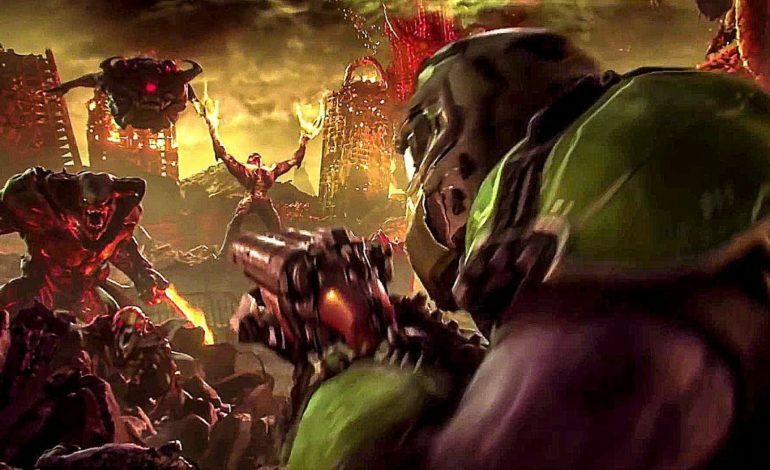 Bethesda has announced that this year’s QuakeCon will host the debut of the first Doom Eternal gameplay footage. The game was first announced at the 2018 Bethesda E3 showcase, as the direct sequel to the reboot of Doom (which came out back in 2016). With the upcoming reveal at QuakeCon this week, Bethesda will hopefully be showing off a few game features teased during E3. “For the past two years it’s been so inspiring to hear you talk about what you’d like to see next – and I gotta tell you, we’re right there with you,” said Creative Director Hugo Martin during Bethesda’s E3 Showcase. You want the DOOM Slayer to feel even more powerful? We’ve got it. You want even more badass demons? There are twice as many in this game. You want to see Hell on Earth? We just teased it. But what we’re most excited about is showing you some of the things that you might not be expecting. The Doom Eternal reveal will be live for QuakeCon attendees, and live-streamed over Bethesda’s Twitch account for the rest of the world. QuakeCon will run from August 9 through 12 this year in Dallas, Texas. The stream is set to broadcast on August 10 at 12pm eastern time.